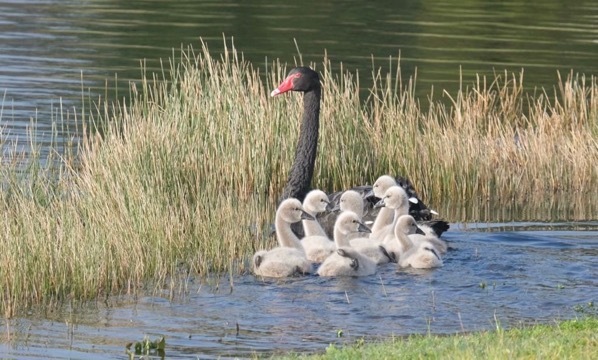 A couple of weeks ago I posted a photo of swan babies. The cygnets have graduated to the more open lake now. I sneaked up on them and managed this pleasing photo. Thrilled all 7 babies are still present.